Season 4 is Coming! 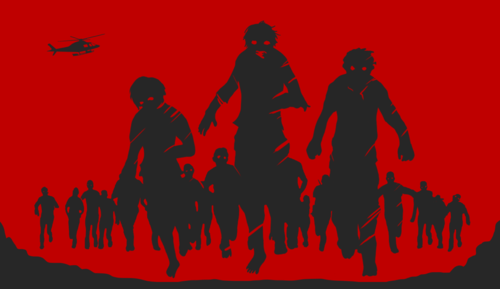 – Zombies, Run! Naomi Alderman, our co-creator and lead writer says: “I’m incredibly excited to see the fan’s responses to Season 4 of Zombies, Run! We’ll be releasing 40 new missions in this season written by our core team of me, Rebecca Levene and Andrea Klassen, with a few guest writers we’ll be announcing as we go. Just like every year, we’re trying out some new ideas about how to keep the stories we tell super-tight, engaging and above all, fun. “I’m thrilled about how the season’s panning out – cutting back on mission numbers has meant we can keep it all killer, no filler, and has freed me up to start thinking about some other ZR Universe projects we have in the works! “It’s hard to know what to say about Season 4 without giving spoilers, so all I can really tell is that there’ll be some tears, some joy, some running away from zombies and that, oh what the hell, the longest-running mystery in the whole game will finally be solved. And there is at least one mission in there that I sobbed like a baby while writing. Just so you know that I suffer with you. Over the last few months, we’ve spent a lot of time reading Tumblr, Twitter, Reddit, Facebook, and meeting Runners 5 in London and Edinburgh (and next month, in New York!). We’ve asked a lot of questions to figure out how best to improve the app, for existing and for new users. Improved music playback: A lot of people now use Spotify, Pandora, and other streaming music services. We’re improving the way we integrate with these third party apps, and we’re going to help you discover great new music to run to. Estimated mission duration: In times past, it was a complete mystery how long a mission would take. Who knew when they’d need to raise the gates for your return? No longer. We’ll estimate your mission duration so you know how long you’ll be out for – plus you’ll be able to see your current mission progress while out on a run! Autoplay next mission: Run out of Radio Abel and want all the missions as fast as possible? Now you’ll be able to autoplay the next mission in your list – perfect for long-distance runs or binge-running the latest missions! Zombie Chase difficulty: Too many chases? Too few chases? Not any more. Set your own difficulty, and sprint to your heart’s content. In-app mission synopses: What happened in Season 1 Mission 9? When did we meet Nadia for the first time? Ask no longer, because you’ll find all the answers directly inside the app itself. Halfway-there notification: Sometimes you want to be home and dry right when you hear the “Mission Completed” buzzer – after all, it’s dangerous out in no-man’s land! Now you’ll know exactly when to head home, as we’ll give you a heads-up when you hit the half-way point of your mission. New user interface: It’s the little things. Changing your tracking settings. Choosing your playlist. Finding what you need on the home screen. You do them every time you head out for a run, and we think it’s about time they got some love and attention. So we’re taking a good long look at our UI design, fixing all those little niggles and making everything look absolutely gorgeous. Just wait til you get to look at it. It’s going to blow the caramel out of your curly-wurly. Even better: Android is getting Material Design. Interval Training on Android: We realise this has taken much longer than we promised, and we’re sorry for the delay. The reason behind this is because we’ve completely rewritten the ZR mission engine on Android, along with other major app components (see below), all of which were tied into Interval Training. The good news is that Interval Training will definitely be here with the launch of Season 4 – and believe us, we’ll make the wait worth your while. The most important changes are the ones you won’t see, though. 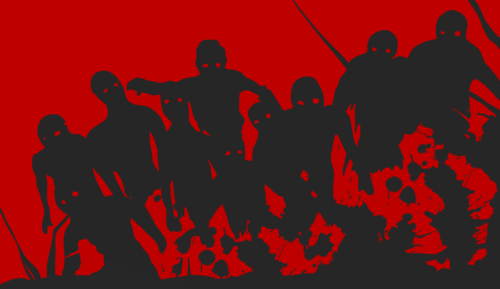 With Season 4, we’re completely rebuilding the mission engine in Zombies, Run! making it more reliable than ever before. It’ll also be much more extensible, allowing us to create radically new kinds of game and running modes; and to take advantage of new hardware and wearables. We’re making similar improvements to ZombieLink, which will be much faster than before. … No, not a movie. At least not yet. But this list is just the start. We have a lot planned for Zombies, Run! 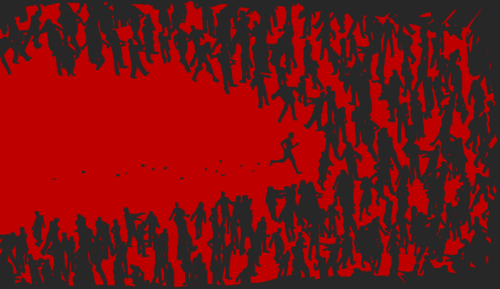 in 2015 and beyond, including some announcements that will change the entire shape of the ZRU (Zombies, Run! Universe, of course!). Stay tuned – and stay safe out there, because Season 4 is coming. Previous Post Happy Birthday, Runner Five!